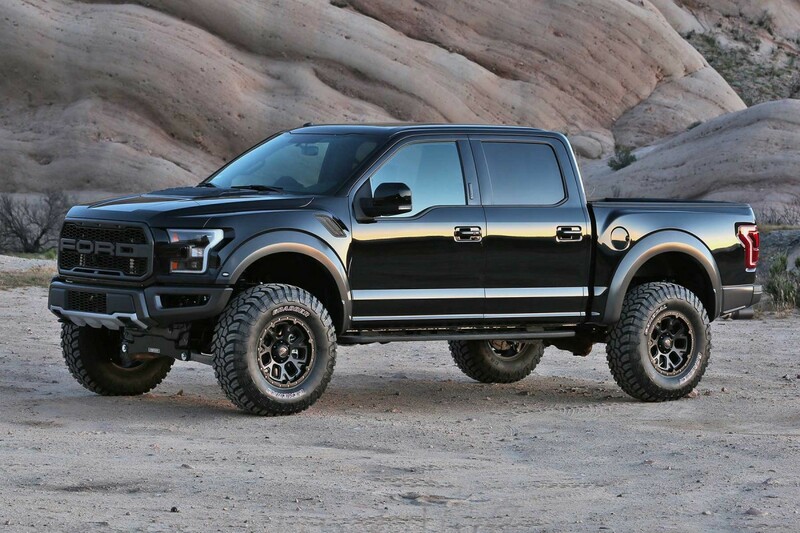 Fabtech’s 4" System for the Ford Raptor provides increased suspension height which allows the use of 37" tall tires and retains the factory SVT control arms and Fox Shox. This 4″ system features heavy duty ductile iron steering knuckles designed to handle 37" tall tires with the vehicle’s ESC (electronic stability control) and Traction Control. Typically 37" tires will cause steering and brake issues on the factory Ford steering knuckles. Fabtech knuckles are designed for the oversized tires and will provide years of trouble free service. 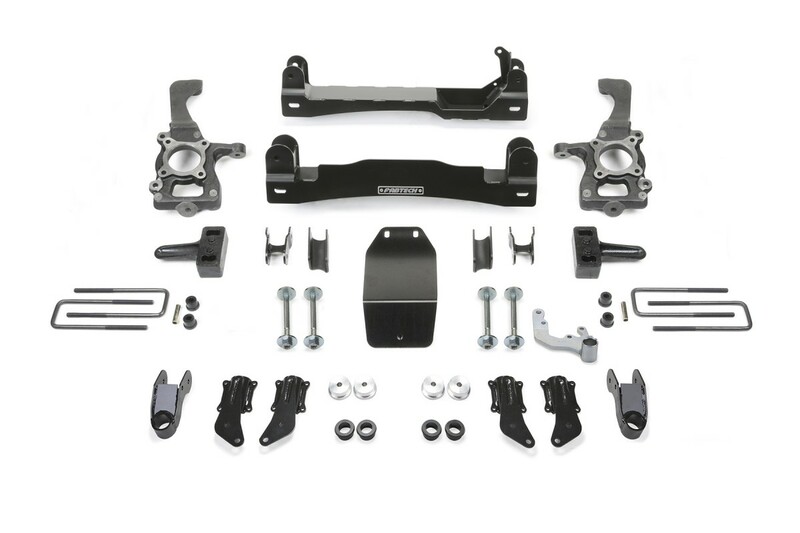 The Raptor SVT control arms are relocated with 1/4" thick steel Crossmembers retaining the travel features of the vehicle for offroad use. The factory Fox Shox are also retained with super stout front and rear shock extensions. To keep the front CV angles proper with the new ride height the front differential is relocated and comes with a 1/4" thick steel skid plate for protection. 14. Cannot use OEM wheel and tires. 55. Must use 18″ wheels or larger.